On July 29, 1997, “Creation” label released “Songs from Northern Britain”, the sixth Teenage Fanclub studio album. It was recorded in 1997, at “Rich Farm Studios, in Surrey; “Air Studios”; “Abbey Road Studios” in London, and was produced by David Bianco and Teenage Fanclub. 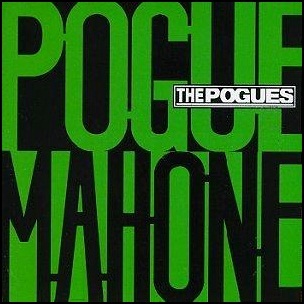 On February 27, 1996, “WEA” label released “Pogue Mahone”, the seventh and last studio album by The Pogues. It was recorded in 1995, and was produced by Steve Brown and Stephen Hague. On February 27, 1995, “Island” label released “To Bring You My Love”, the third PJ Harvey studio album. It was recorded September – October 1994, at “Townhouse Studios” in London, and was produced by John Parish and PJ Harvey. “Spin” magazine ranked the album at number 3 in a list of the “Best Albums of the 90s”; in 2003, “Rolling Stone” magazine ranked “To Bring You My Love” at number 435 on its list of the “500 Greatest Albums of All Time”; in 2011 “Slant Magazine”, rated the album as 20th best album of the 90s. All tracks by PJ Harvey.